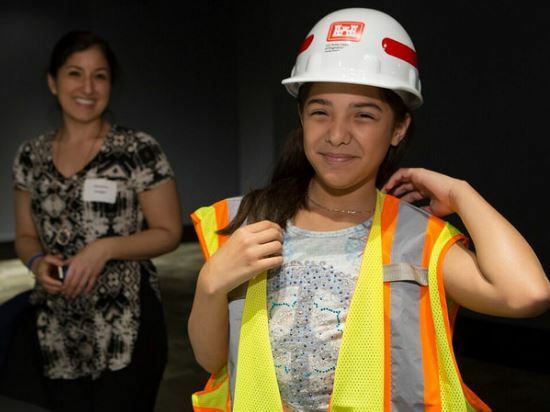 STEM Energy 101, activities, videos, hydrogen fuel cell mannequin challenge video, competitions, and career ideas. 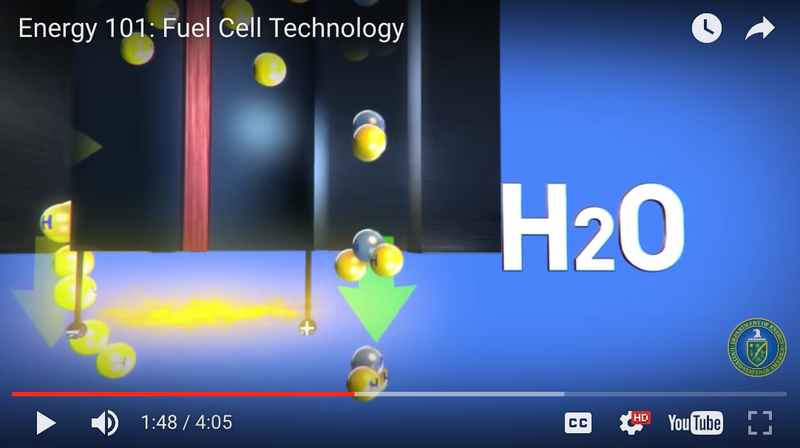 Learn the basics about hydrogen fuel cell technology with informaional videos and activities. The Fuel Cell Technologies Office (FCTO) covers a comprehensive portfolio of activities that address the full range of barriers facing the development and deployment of hydrogen and fuel cells to enable clean, reliable power generation. U.S. Department of Energy (DOE) funding through the Office of Energy Efficiency and Renewable Energy (EERE) enabled a cumulative 580+ patents and 30 technologies in the market and another 65 technologies anticipated to be commercial in the next 3 to 5 years. More than 25 hydrogen fueling stations are online in California and plans are underway for several to be opened soon in the Northeast. Hydrogen is a clean fuel that, when consumed in a fuel cell, produces only water. Hydrogen can be produced from a variety of domestic resources, such as natural gas, nuclear power, biomass, and renewable power like solar and wind. These qualities make it an attractive fuel option for transportation and electricity generation applications. It can be used in cars, in houses, for portable power, and in many more applications.Hydrogen is an energy carrier that can be used to store, move, and deliver energy produced from other sources.Today, hydrogen fuel can be produced through several methods. The most common methods today are natural gas reforming (a thermal process), and electrolysis. Other methods include solar-driven and biological processes. Learn more. Fuel cells work like batteries, but they do not run down or need recharging. They produce electricity and heat as long as fuel is supplied. A fuel cell consists of two electrodes—a negative electrode (or anode) and a positive electrode (or cathode)—sandwiched around an electrolyte. A fuel, such as hydrogen, is fed to the anode, and air is fed to the cathode. 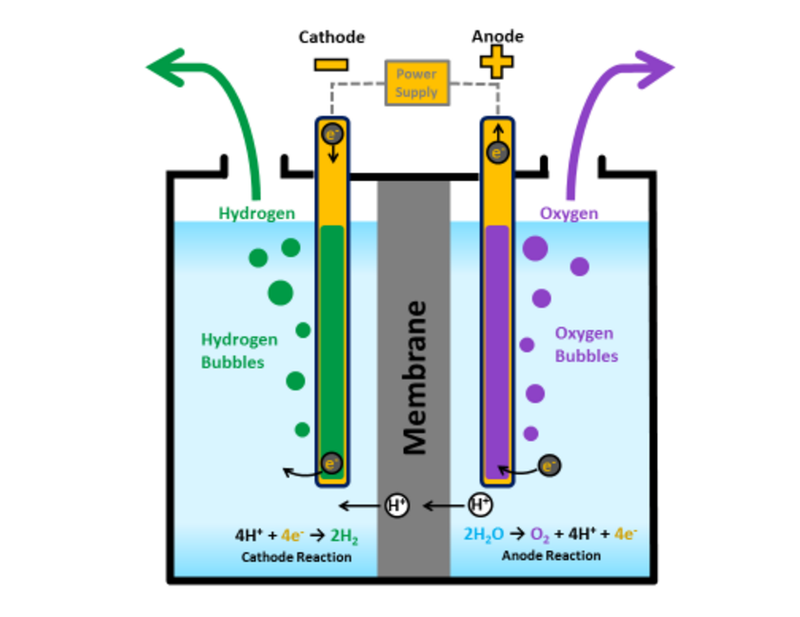 In a polymer electrolyte membrane (PEM) fuel cell, a catalyst separates hydrogen atoms into protons and electrons, which take different paths to the cathode. The electrons go through an external circuit, creating a flow of electricity. The protons migrate through the electrolyte to the cathode, where they reunite with oxygen and the electrons to produce water and heat. See the fuel cell animation here. One important thing to keep in mind about hydrogen: it’s not an energy source itself—hydrogen is what's called an energy carrier. That means energy from another source can be used to generate hydrogen. Hydrogen then stores the energy from that original source until it’s used to power a fuel cell. 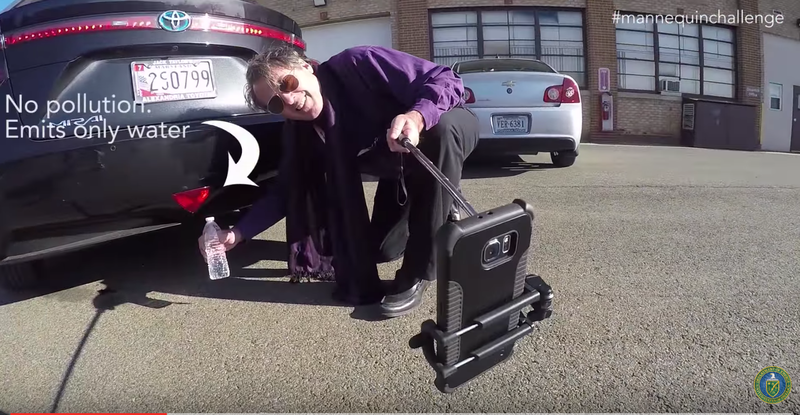 Watch this Energy 101 Video to learn about hydrogen fuel cells. FREEZE! FCTO just nailed the Mannequin Challenge. 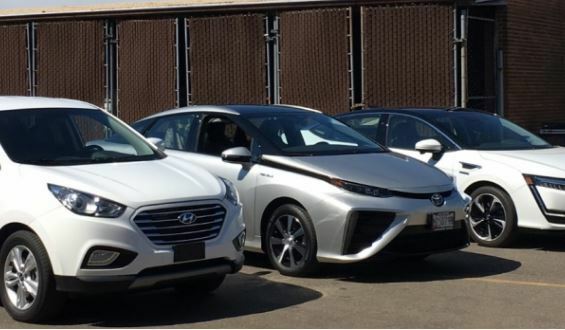 We were pleased to bring a cutting edge hydrogen demonstration station to Washington, DC and the world's first commercial hydrogen fuel cell cars to federal agencies. Watch now to learn more about fuel cell vehicles and tour a hydrogen station. 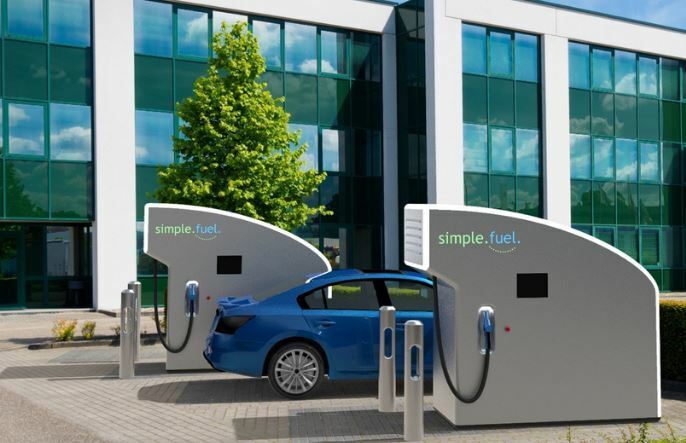 SimpleFuel is the winner of the $1 million H2 Refuel H-Prize Competition which challenged America's innovators to develop a small scale, on-site hydrogen generation system to fuel vehicles. 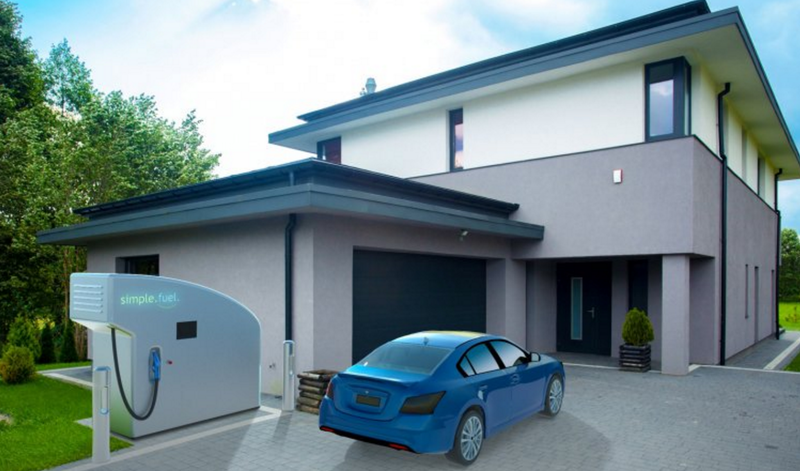 SimpleFuel's home scale refueling appliance can provide a 1-kilogram fill to vehicles in 15 minutes or less at 700 bar using hydrogen produced via electrolysis, with a cost-effective design that minimizes setback distances and reduces the physical footprint of the system. Read more. 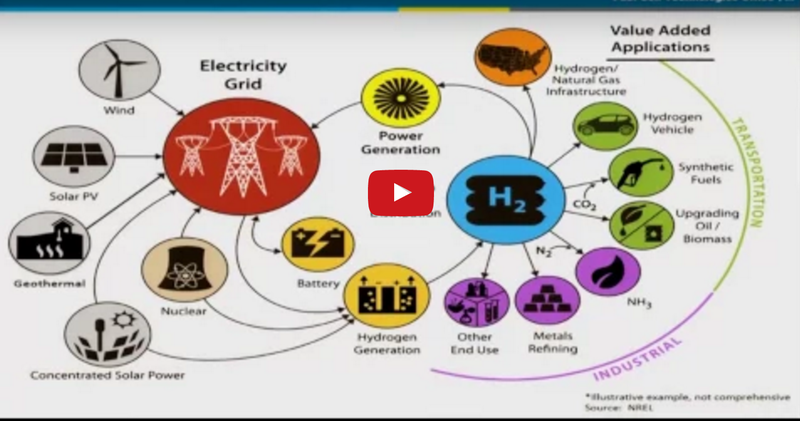 Featuring Sunita Satyapal's "Hydrogen and Fuel Cell Revolution", our Energy Talks website highlights fifteen informative presentations varying in length between 10 and 25 minutes covering a wide number of topics including: building efficiency, bioenergy, transportation, electric grid, and commercialization. See all the videos on YouTube or our Energy.gov/EnergyTalks. 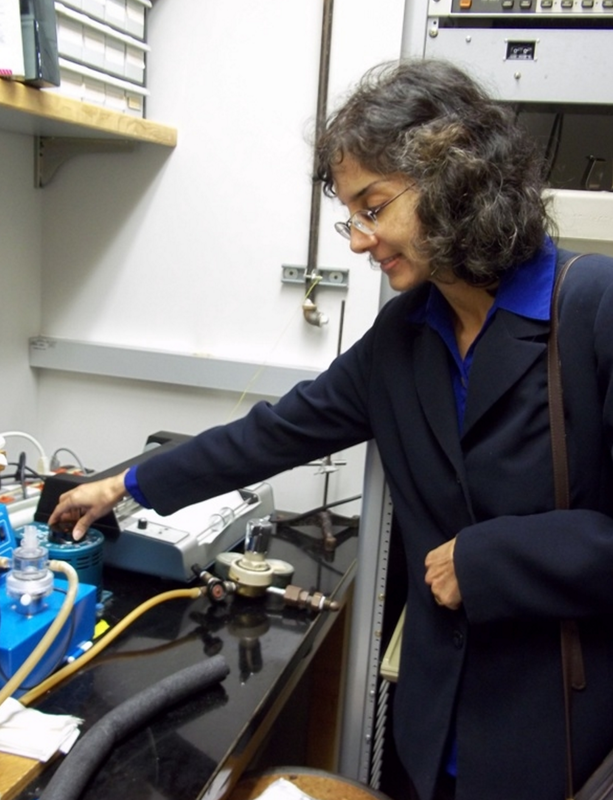 Sunita Satyapal is the Director of the Department of Energy’s Fuel Cell Technologies Office within the Office of Energy Efficiency and Renewable Energy. Dr. Satyapal is responsible for the Office’s overall strategy and execution, including oversight and coordination of approximately $100 million in research, development, demonstration and deployment activities related to hydrogen and fuel cells. Dr. Satyapal has more than 25 years of experience in academia, industry and government, including eight years at United Technologies Research Center and at UTC Power. Dr. Satyapal advises students interested in energy careers, "if you have a dream- you have to try hard to make it happen and you have to take risks." Read more. Join the challenge! Have your class or entire school to post pictures on your social media channels showcasing Hydrogen Fuel Cells or STEM at your school using #ENERGYEDU on Twitter or Facebook. Subscribe to our DOE YouTube channel for the newest innovations in Energy to use in the classroom. You can also email us at STEMSpark@ee.doe.gov. We look forward to connecting with you!